When it comes to making money online from advertising revenues, Google Adsense is widely used by bloggers and webmasters. This is the one advertising platform that sends contextual ads and offers a significant payout to bloggers and webmasters. But there are still some reasons why people do not like it. Like all things on the Internet, Google Adsense has its pros and cons. Here we look at why many people do not like Google Adsense. This is not a decade ago when blogs and sites used to get automatic approval for Google Adsense. Today, getting your site approved can be a complicated process. The rules and regulations that govern the approval process have become very strict, and bloggers and webmasters hate Adsense for that. Your website has to be more than 6 months old and has a certain number of unique visitors. For a new blogger who has the time to write quality content, 6 months may be a long time to wait for approval. Firstly, Adsense has too many rules to follow accurately; it is, therefore, easy for you to go against one of the rules which you were not acutely aware of. When you do, you get your account banned, and you cannot appeal the decision. You are held hostage by stringent rules and a totalitarian banning process. Google puts ads on your site depending on your perceived niche. If you blog about fishing, then you will get ads from people who deal in the fishery gear and accessories. However, you should have some control over which ads should be appearing on your site. This is very difficult, and you have to invest in third-party tools and plug-ins if you want to control this. Once you have made a certain amount of money, they ask you to verify your address by sending you a PIN to your mailing address. This would be quite excellent, apart from the fact that it takes too long to get the PIN. You are held hostage for several weeks as you wait for the PIN so you can start getting checks in your mail. Many bloggers and readers have come to mistrust Adsense ads. This has been a problem for some bloggers since they do not get any clicks from their readers and other bloggers who may visit. This means a low payment rate in the long run. Bloggers are now selling advertising spots on their own, rather than take up Adsense ads. Why is it that the CPC rate in the United States can reach over 5 dollars, while that in Africa or Asia goes at less than a dollar? This is something that most bloggers do not understand. Some of the most prolific bloggers come from these areas, and they should be rewarded for their efforts. CPC rates should be decided by traffic volumes and not regions. Google Adsense should come out and have a forum where they can respond to issues raised by bloggers. For example, they should have a detailed tutorial on how one can get approved and also make money from the network. However, they choose to remain mum. On this very same note, they do provide an opportunity to contact them by email, but they will not respond. You may have to wait for several days or weeks to get a reply from the network. Is there anything good about Google Adsense? 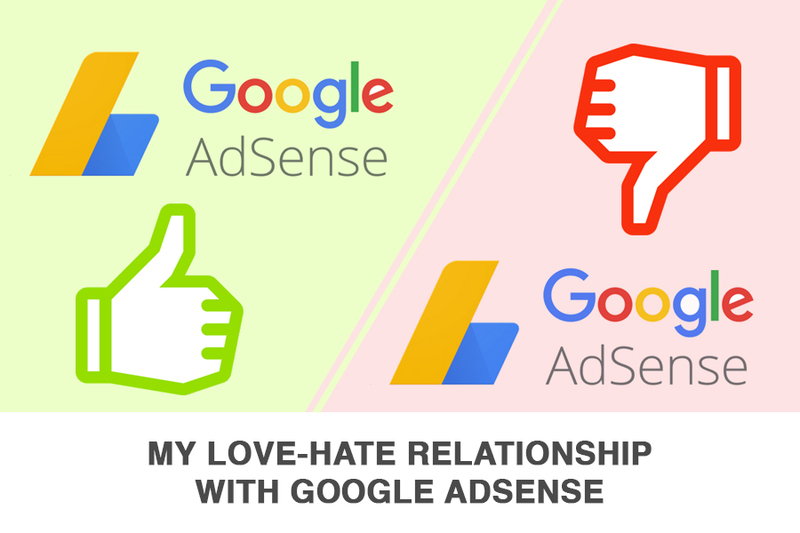 Some so many bloggers have something to say about Google Adsense. Of course, everything about the network is not always bad, and there are some positives. Google has one of the most transparent revenue sharing programs when it comes to advertising. Other programs try to hide the actual revenue sharing plan, for reasons that are unclear. Google is very open about this, and it helps foster trust between bloggers and the company. Bloggers get 68% of the advertising revenue and 42% goes to Google. Despite the fact that some people complain about the time taken to get checks, Google will always ensure that you get your check. There are times when the courier service that delivers the checks fails to do so, and your check goes back to Google. They will immediately have it sent back to your home address. This means that you get your check every time. You can always find out where your advertisers come from, the number of clicks and a lot of information from your dashboard. This helps in the analytics of your website or blog. Getting a grip on the advertisers and traffic that you get will enable you to customise your content and make more money from Adsense. Google Adsense is a great way of making money. There are a few issues that the company should address if they want to remain as the best advertising network on the Internet. They should look at what bloggers need and regulate the CPC rate, according to readership and not geographic region. There are good things to say about Google Adsense. It is the oldest and trusted advertising network on the Internet, and they should build on such a long history. Let people not see the company as being an oligarch stuck in the old ways. They should embrace the new standards in the advertising industry and try not to be too tough when it comes to rules and regulations. It is crushing for a blogger to be banned over a small matter that would only have warranted a warning. Google Adsense still has a large following, but they should make it easier for new bloggers to start realising the monetary rewards for their efforts. Previous articleCreating a Powerful Online Presence for Marketing Success – the Why and How!